Facebook has a scary new patent application that Bryan Chaffin and Jeff Gamet say "is so Zuck." They also talk about how Apple might position and price its streaming original content, and there are a lot of possibilities. Plus, Apple's long-running patent fight with Samsung is over. What does that really mean? What would using your iPhone as your car key look like in practice? Bryan Chaffin and Jeff Gamet run through the possibilities. They also look at the on-again, off-again case where plaintiffs accuse the company with a minority share of the smartphone business of having an App Store "monopoly." If you've been wondering what all the fuss was about augmented reality, Bryan Chaffin and Jeff Gamet have an AR Demo for you to see. They also take time out from ranting about being the product to talk frankly about the benefits of surveillance capitalism. Siri Shortcuts were the thing Apple announced at WWDC that caught both Bryan Chaffin's and Jeff Gamet's imagination. They also talk about how cool ARKit 2 is, and how we are still in early, early days for AR. As awesome as AR on iOS is, Apple is still taking huge baby steps. Apple Senior Vice President Angela Ahrendts is going to be interviewed at Cannes Lions, but the person interviewing her is an Apple employee. Bryan Chaffin and Jeff Gamet think that's a little weird. In hindsight, they also think it's weird that Andy Rubin thought he could make money making Android hardware, an Essential(ly) bad idea. In the third segment, Jeff helps Bryan spend money when picking between a 2nd HomePod and a soundbar now that AirPlay 2 is here. Twitter has lost its corporate mind, Bryan Chaffin and Jeff Gamet argue in this episode of ACM. They also weigh the importance of WWDC 2018 in terms of Siri, and discuss whether or not Apple has to announce significant improvements to remain competitive in AI. Then there's the revelation that the FBI exaggerated the number of locked iPhones it couldn't get into, and they squeeze in a fourth topic, too: Apple's hunt for a new campus, and how it contrasts with Amazon. The U.S. Senate passed legislation that would restore Net Neutrality in the country, but Bryan Chaffin and Jeff Gamet explain why they don't think it will go any further. They also break down Ralph Nader's kind-of-weird whiff in complaining about Apple's share buyback program. They cap the show with a look at how Sir Jony Ive is a watch-man, though Steve Jobs wasn't involved with Apple Watch. Warning, this one went long: Bryan Chaffin and Jeff Gamet discuss what Apple's share buybacks say about Apple's future. They also weigh WhatsApp's founder leaving Facebook, and what it says about Facebook and Mark Zuckerberg. They go over when diving into Google Duplex, a demonstration that was as awesome as it was devoid of real value. Bryan Chaffin and Jeff Gamet discuss the myth of the failing iPhone X, where that myth comes from, how it's sustained, and how Apple's own data says otherwise. They also talk about how Apple CEO Tim Cook and CFO Luca Maestri tried to dispel those reports during Apple's quarterly conference call with analysts. They also look at the indicators that HomePod, on the other hand, isn't doing well, and Tim Cook's continued insistence on focusing on sound quality when we really want a capable home assistant. They cap the show with some perspective on just how much money Apple is paying out to shareholders. In this episode, Bryan Chaffin and Jeff Gamet talk about how Amazon has quietly become the Cyberpunk king. They also discuss Tim Cook's choice of dinner companions for the White House's state dinner, and how Grayshift's data breach is the proof in the pudding that backdoors and cracks get mishandled. Facebook CEO Mark Zuckerberg and Apple CEO Tim Cook have been trading public barbs on privacy, and Bryan Chaffin and Jeff Gamet discuss the public tiff. They also discuss Apple's hiring of Google's former head of artificial intelligence and what it might mean for Siri (hint: good things!). They cap the show with a look at what it would take to make HomeKit the premier home automation platform. Bryan Chaffin and Jeff Gamet are joined by Laura Bain, E-Learning Coordinator at a private school in Brisbane, Australia, to talk about Apple and the "Let's Take a Field Trip" event. They discuss what it's like in the trenches of E-Learning, including the ongoing battle between Apple, Google, and Microsoft. You've been hearing a lot of tech pundits talk about Apple and education, but this conversation has a voice from the trenches. Bryan and Jeff discuss the ongoing #deletefacebook discussion and whether it's a tempest in a teapot. They also talk about autonomous vehicles, regulation, and our future with driverless cars, and also our future with artificial intelligence. In this episode, Bryan Chaffin leads Jeff Gamet down into the ugly underbelly of FSM, or Fidget Spinner Madness. You can blame Mitsubishi if you want. 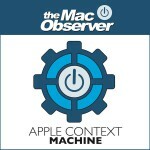 They also talk about what TMO's staff thinks were recent great Apple products and read the WWDC tea leaves. Does the WWDC website really mean anything? In this episode, Bryan Chaffin and Jeff Gamet geek out on paper airplanes, or more properly, powered paper airplanes! They also talk about MoviePass location tracking and the voice assistant wars (spoiler, not all home voice assistants are equal). Apple is entering into the business of medicine, and Bryan Chaffin and Jeff Gamet explore the ramifications of this momentous development. They also discuss whether or not the Vero social network is viable, as well as Cellebrite's claim that it can open up most iOS devices. Bryan and Jeff talk about the Spotify Platform problem and the problems facing any independent music streaming service. They also talk about the things they learned from Tim Cook's interview with Fast Company, and whether or not Apple is signaling a bigger play in Apple TV gaming. Bryan and Jeff go inside Apple's annual shareholder meeting, and talk about the things that seemed to get Tim Cook excited. A listener also calls them out for being hypocrites on ad profiling, and they talk about how Apple's new HomePod isn't a home wiretap.